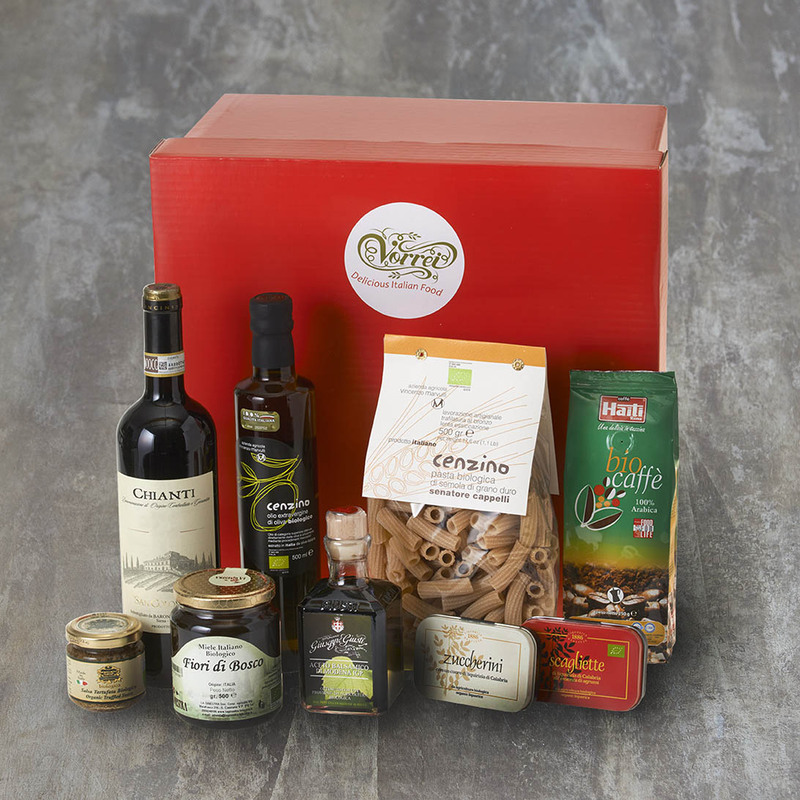 For our Organic Selection Italian Hamper we have chosen some of our tastiest, most popular Italian deli treats. Fair Trade Ground Coffee (250g). The favourite coffee of Rome's coffee bars! This is a fair trade Arabica coffee which is full of flavour and ideal for use in Espresso pots, caffettiere and filter coffee machines. Senatore Cappelli Wheat Penne Pasta (500g). These organic penne are made from Senatore Cappelli wheat which has a high protein, vitamin and mineral content and is easily digestible. Scagliette Calabrian Liquorice (40g) Tiny flakes of delicious organic liquorice flavoured with aniseed.Our organic selection comes in a lovely bright red box decorated with ribbon. A gift message option is available at checkout for you to send a personalised message to your recipient.